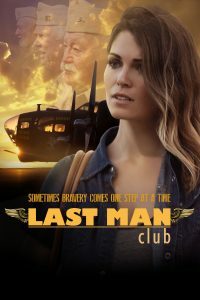 LAST MAN CLUB follows Captain John "Eagle Eye" Pennell, a WW2 veteran who has learned that his family is going to force him into a retirement home. That same day, he receives a letter from a former B-17 crew mate, reminding him of the pact they made to each other in 1944. That letter will send Eagle on a cross country trip to reunite his remaining crew and make good on the promise they made to each other decades before. Along the way, Eagle meets Romy, a sassy young woman on the run from the mob. After a rocky start, she joins forces with the boys, realizing she needs them as much as they need her. On the run from life, our heroes are determined to finish their quest at all costs. Last Man Club is a moving yet often light-hearted and touching story of true friendship. It is their story of honor and ultimately the bond between brothers-in-arms.